Oscar Wilde's The Ballad of Reading Gaol remained unsigned until the seventh edition, when printers included Wilde’s name in brackets on the title page. 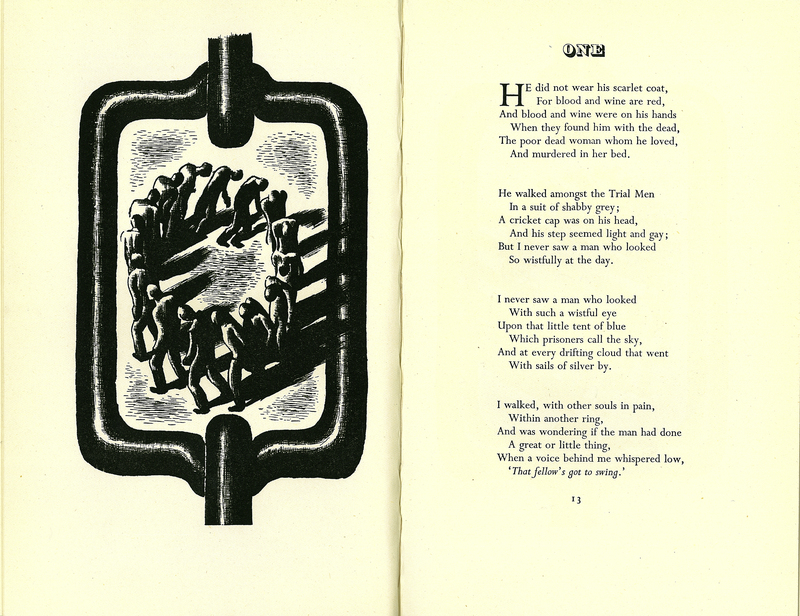 This illustrated copy is an edition printed in 1948 featuring engravings by Arthur Wragg. Oscar Wilde, “The Ballad of Reading Gaol,” ourheritage.ac.nz | OUR Heritage, accessed April 26, 2019, http://ourheritage.ac.nz/items/show/10225.